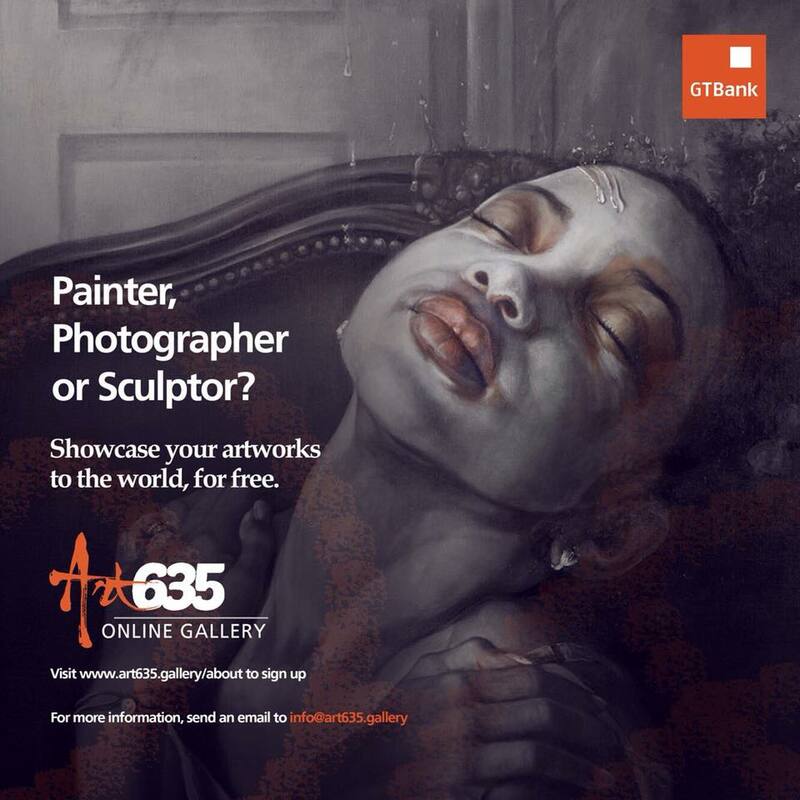 GTBank Art635 Online Gallery. Showcase Your Artwork For Free ! GTBank is taking your art from Nigeria to the entire world. Please send any additional questions to info@art635.gallery. Please note that each piece of artwork will be reviewed by our gallery curators before it is accepted into the gallery. Arts is one of the four pillars of GTBank’s Corporate Social Responsibility policy and the launch of Art635 is the latest of the Bank’s sustained efforts to promote African arts locally and internationally. At the moment, most budding indigenous artists in Nigeria and across Africa have little or nowhere to showcase their works and make a living from them. Art635 is a foremost online repository of African artworks and is set to serve as a leading platform for the promotion of indigenous artists across the continent. The Gallery will drastically expand the exposure of artists, provide an enabling platform for the marketing of their works and serve as a much-needed motivation for the further development of their artistic skills and talents. With Art635, the bank aims to further its support for African arts by helping African artworks become not just more visible and appreciated, but also to turn them into a much more profitable and commercially viable venture for indigenous artists. This is in line with the Bank’s initiative to go beyond the traditional understanding of Corporate Social Responsibility as corporate philanthropy by intervening in economic sectors, to strengthen small businesses through capacity building initiatives that serve to boost their expertise, exposure and business growth.